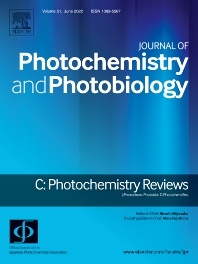 The international journal, Photochemistry Reviews, as the official journal of the Japanese Photochemistry Association, provides a forum for mutual communication among scientists in various fields of photochemistry and aims to promote new interdisciplinary fields. The scope includes fundamental molecular photochemistry in gas, liquid, and solid phases, organic photochemistry, inorganic photochemistry, supramolecular photochemistry, photochemical aspects of photosynthesis and photobiology, photoelectrochemistry, photocatalysis, solar energy conversion, photochemical devices, photofabrication, photofunctionalization, new chemistry for photonics, and other related areas. Submission to this journal proceeds totally online. Via the submission site of this journal http://ees.elsevier.com/jpr you will be guided stepwise through the creation and uploading of the various files. The system automatically converts source files to a single Adobe Acrobat PDF version of the article, which is used in the peer-review process. All correspondence, including notification of the Editor's decision and requests for revision, takes place by e-mail and via the author's homepage, removing the need for a hard-copy paper trail.